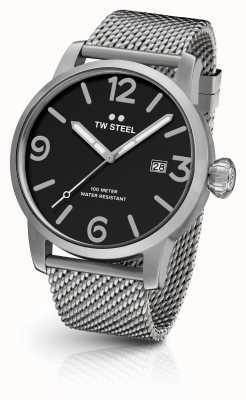 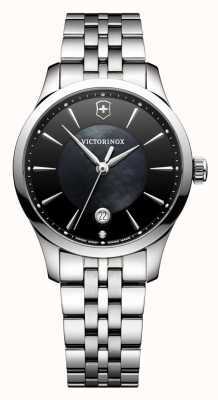 Please Note that this watch is an Ex-Display Model and has light scratches to the case. 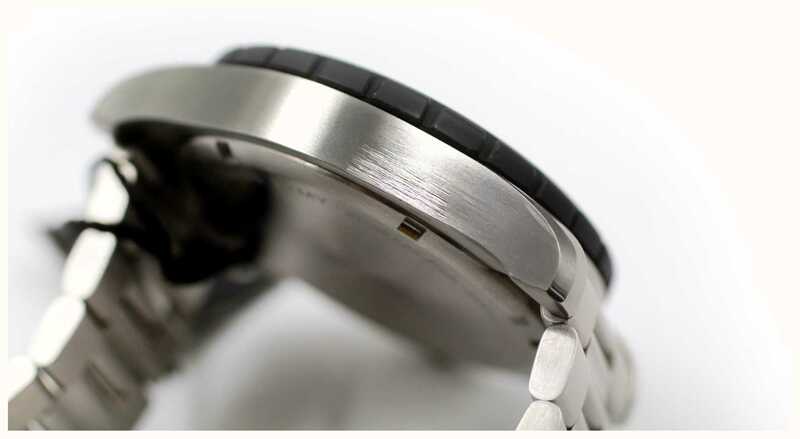 The scratches/scuffs can be seen in the images above, with only a very small amount of wear/marks on the bracelet too. 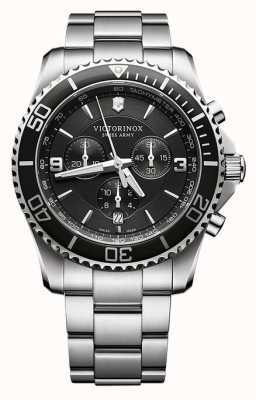 Still comes with tags, box and guarantee. 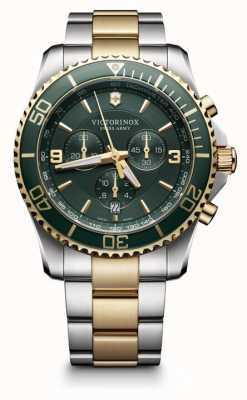 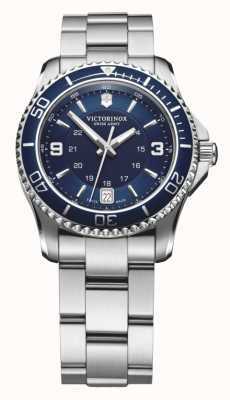 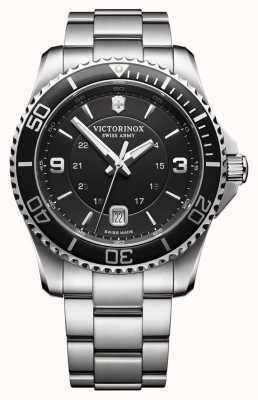 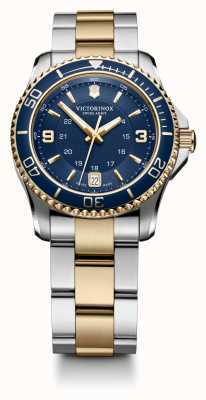 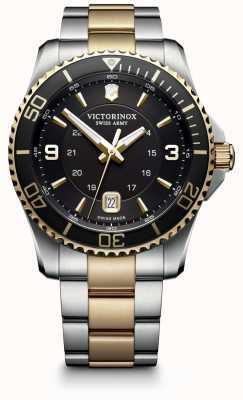 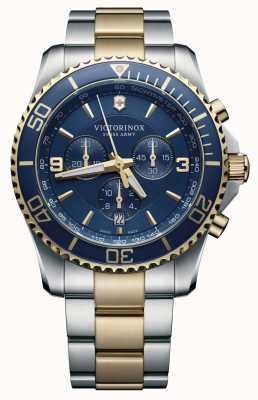 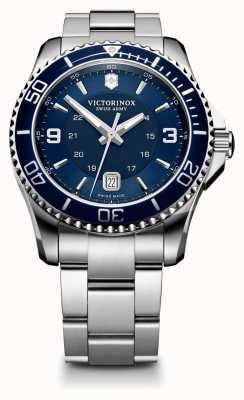 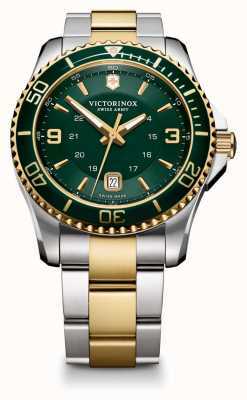 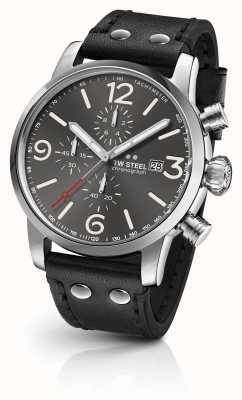 The first thing that strikes you about this Victorinox Maverick range watch is the handsome aesthetics. 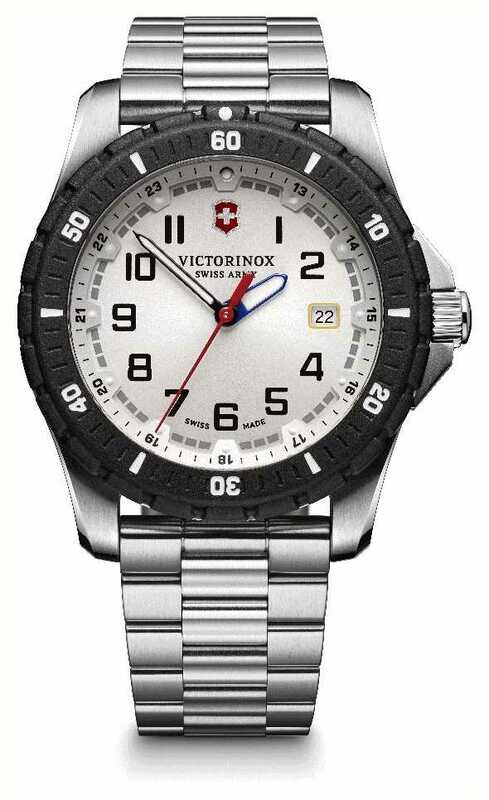 There is more intricate and more simple styling out there but the dial of this watch is balanced perfectly with red/ blue accents accentuating a classy silver back-drop. 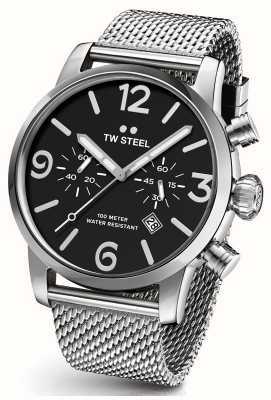 Surrounding the dial is a black tachymeter bezel for a robustly masculine look and a stainless-steel case and strap complete the looks. Features include chunky glowing hands, glowing hour-markers, date display and 100m water-resistance.